Here Dr Elizabeth Poskitt OBE, MA, MB, BChir (Cantab) FRCP, FRCPCH is shown receiving her medal from UWE President Dr Edith Lommerse. Jans Gremmée Award Winner 2016 was announced at UWE AGM and Conference on’Aspiration, Achievement, Advancement‘ held in Winchester, Hampshire, UK. Eighty members and guests met the day after Brexit but a positive atmosphere prevailed! 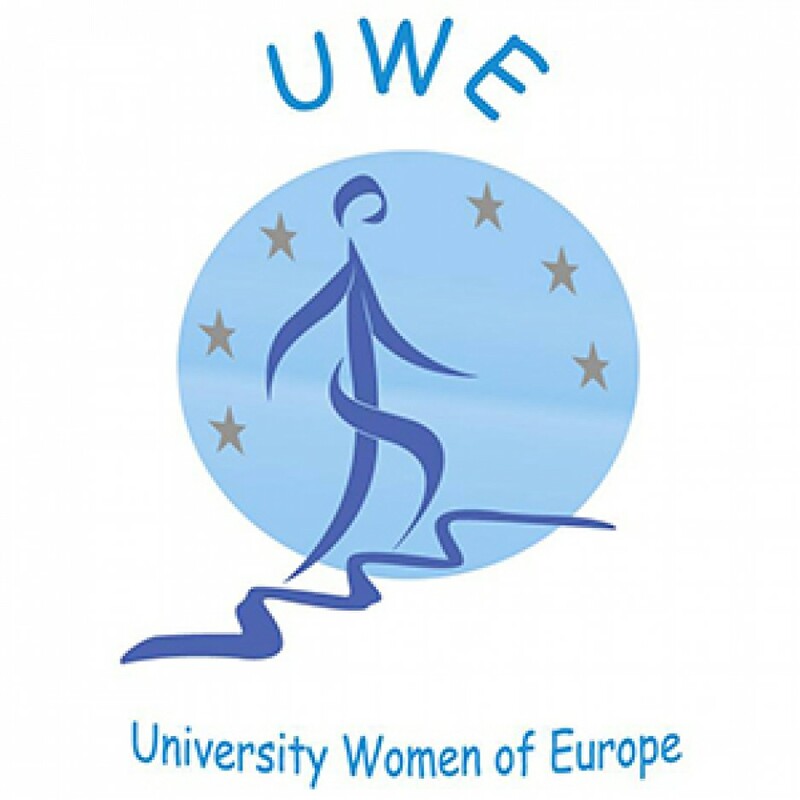 The Medal commemorates the founding President of UWE in 1981, Jans Gremmée, who was active in Europe on behalf of all women. The criteria for the award include activities of benefit to women in Europe. The citation presented by Jenny Morley follows: Dr Elizabeth Poskitt is serving a second term as Mayor of Woodstock, Oxfordshire and is a District Councillor. She was responsible for setting up a ‘Good Neighbour’ scheme for befriending and transporting the elderly or disabled and also for co-authoring and editing ‘Woodstock and the Royal Park’ in 2011 to mark the 900 th anniversary of the founding of the town. She is well known to all British Federation Members as Chair of the BFWG Scholarship Fund which gives awards on the grounds of academic excellence to third year doctoral women candidates at British Universities but irrespective of their country of origin. Many women from mainland Europe have gained these awards! In 2001 when she was a Vice President of BFWG Elizabeth also founded an annual Research Presentations Day where women in the final year of their Doctorate may gain experience presenting their research to an educated but non-specialist audience of BFWG Members and friends. Again we have welcomed many women from Europe. Elizabeth first joined the Ugandan Association of University Women in 1968 whilst working in Kampala. Later back in the UK teaching at Birmingham then Liverpool Universities she took an active role in these BFWG local associations and was present at the founding meeting of UWE. She was British National President from 2005 to 2008. Unusually she had first been President of IFUW (now GWI) from 1995 to 1998 whilst she was still working as a paediatrician and Head of Station at the MRC Dunn Nutrition Field Station in the Gambia. The IFUW Study And Action Programme (SAAP) during these years was ‘The Girl Child’ reflecting her concerns and expertise. Although in Africa she was mainly concerned with malnutrition she is also involved with the current problem of ‘over nutrition’ in children, and is co-founder of the European Childhood Obesity Group, having published a book ‘Management of Childhood Obesity’. Her research interests in nutrition have given rise to over 100 publications. 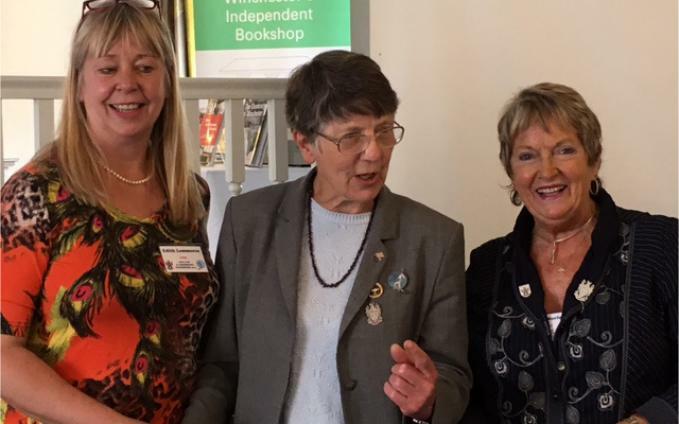 So although theoretically retired from her academic paediatric work and research we are pleased that Elizabeth is still active on behalf of her local community and the wider community of graduate women. 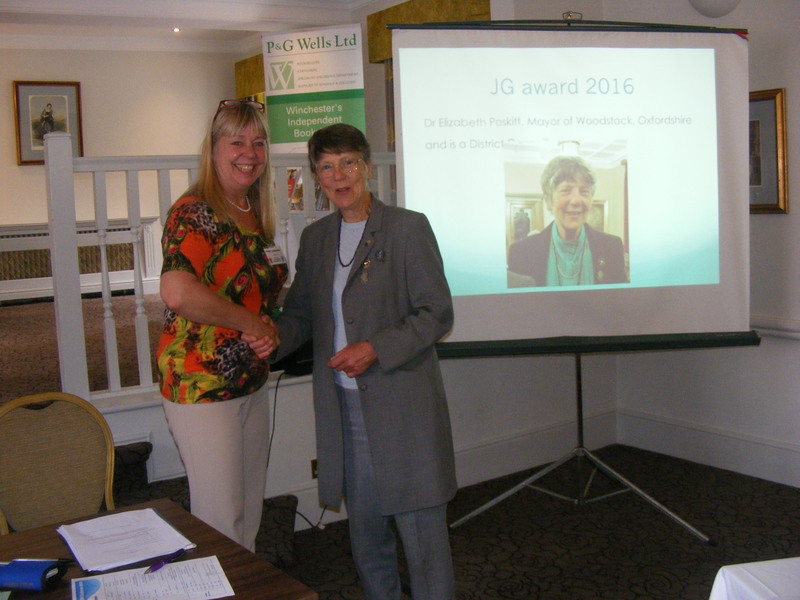 This entry was posted in Jans Gremmée award and tagged BFWG, Dr Elizabeth Poskitt, Jans Gremmée Award Winner 2016, UWE AGM and Conference 2016.